It's been a whirlwind weekend for big names leaving big jobs. The big picture: Major decision-makers at massive companies on both sides of the Pacific are stepping down — for varied reasons and on different timetables. 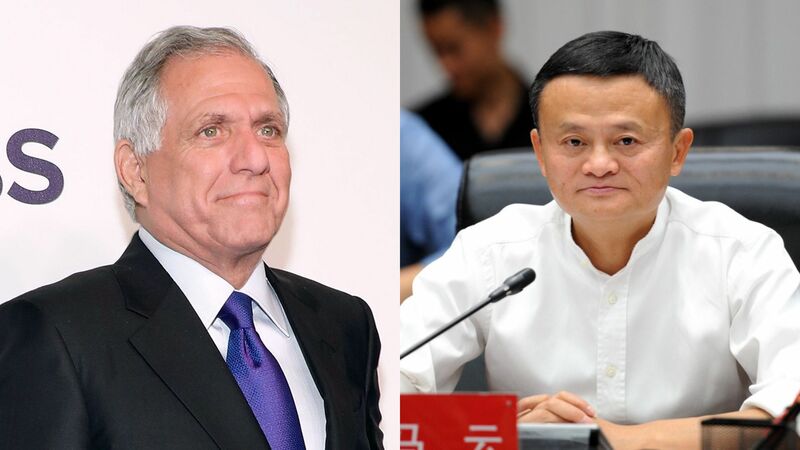 Some, like CBS' Les Moonves, were unexpectedly forced out due to their own indiscretions, while others, like Alibaba's Jack Ma, are stage-managing their own planned departures. Les Moonves is out as CEO at CBS, following new (and even more disturbing) allegations of sexual harassment and assault (all of which Moonves denies). The network also swapped out six board members, and announced a settlement with majority shareholder Shari Redstone. Maybe bank analysts now will ask some actual questions of CBS management, something they were too cowardly to do during the company's most recent earnings call. In case they struggle to come up with one, I'll help: Ronan Farrow reports that Moonves told " a portion of the CBS board... early this year" about a criminal investigation. Who specifically did he tell, and when exactly? More on Moonves and CBS in today's Axios Pro Rata podcast. Jack Ma will step down as Alibaba's executive chairman on the company's 20th anniversary, which comes one year from today. His successor will be current company CEO Daniel Zhang. Ma is based in China, but Silicon Valley treats him with a reverence that is only rivaled by that for Jeff Bezos and the late Steve Jobs. In a letter to Alibaba shareholders and employees, Ma signed off by writing: "Alibaba was never about Jack Ma, but Jack Ma will forever belong to Alibaba." Imran Khan is stepping down as chief strategy officer of Snap, where he has been CEO Evan Spiegel's right-hand man since 2015. This comes as Snap shares hit an all-time low on Friday, and are down another 1.3% in pre-market trading. Spiegel has said that he's worked to improve his internal communications skills, and that will now be put to the test. Word is that Khan has been making a bunch of investments in China. Tim Armstrong is on his way out of Verizon, where he leads the media and advertising biz, as first reported by WSJ. This one is a bit confusing, and not only because it comes just one year after Verizon completed the Yahoo purchase that Armstrong championed. Armstrong reportedly wanted to spin out his business (called Oath), but was turned down by new Verizon CEO Hans Vestberg — even though Vestberg has seemed much more interested in making Verizon a networking company than a networking+media company. So... is Vestberg really laser-focused on 5G, or is there a small part of him that wants to ape AT&T? And, if so, is the real problem that Armstrong wanted a spin-out whereas Vestberg wanted to keep Oath in-house and expand it? All of which maybe leads to... Verizon making a play for CBS?